In the Port of Amsterdam, an 85-metre long coal barge had perished to a depth of 14 metres. 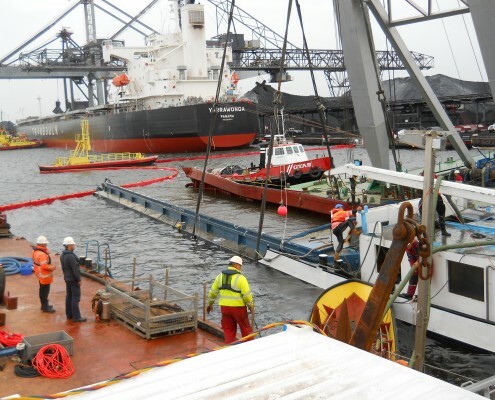 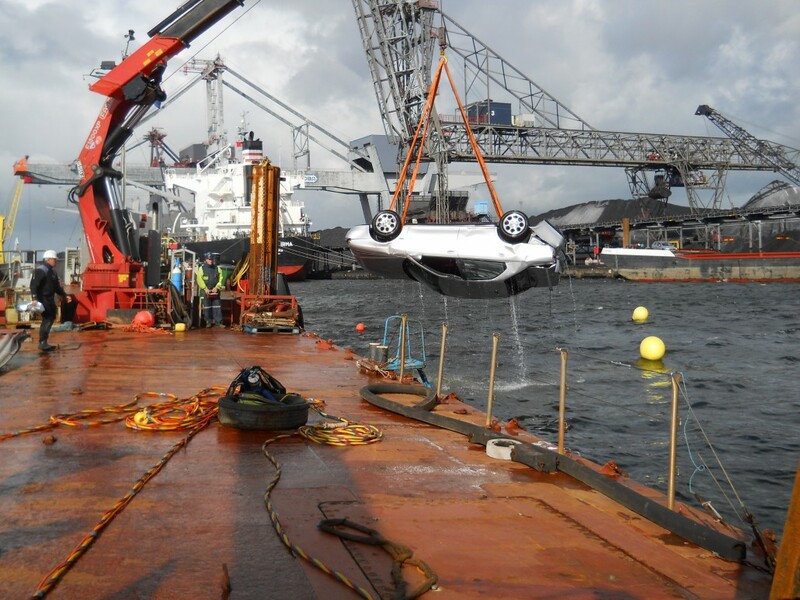 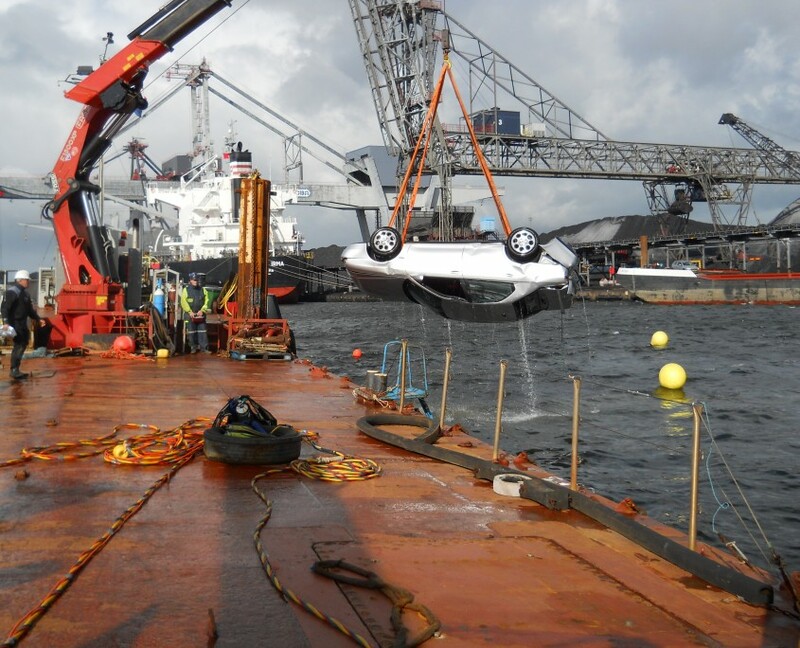 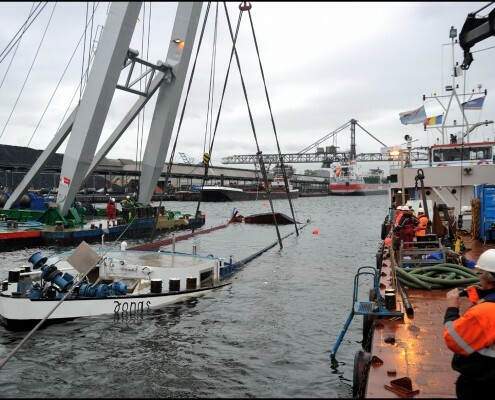 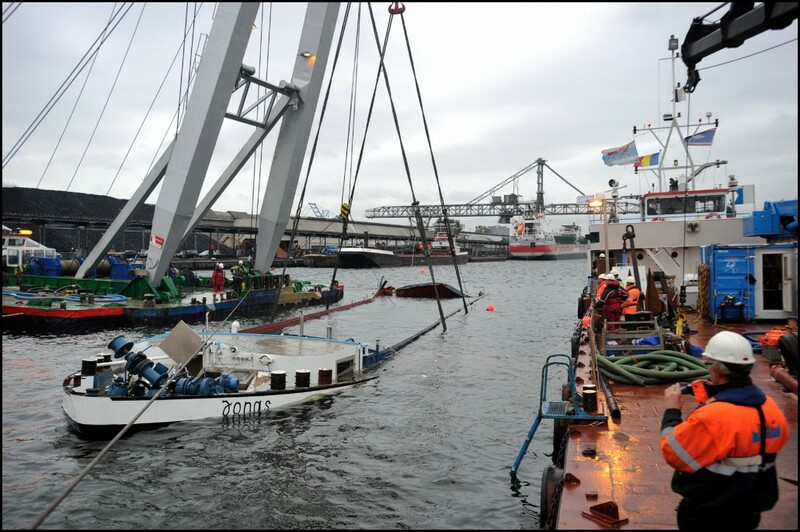 In cooperation with Wagenborg, DUC Marine Group salvaged the barge. 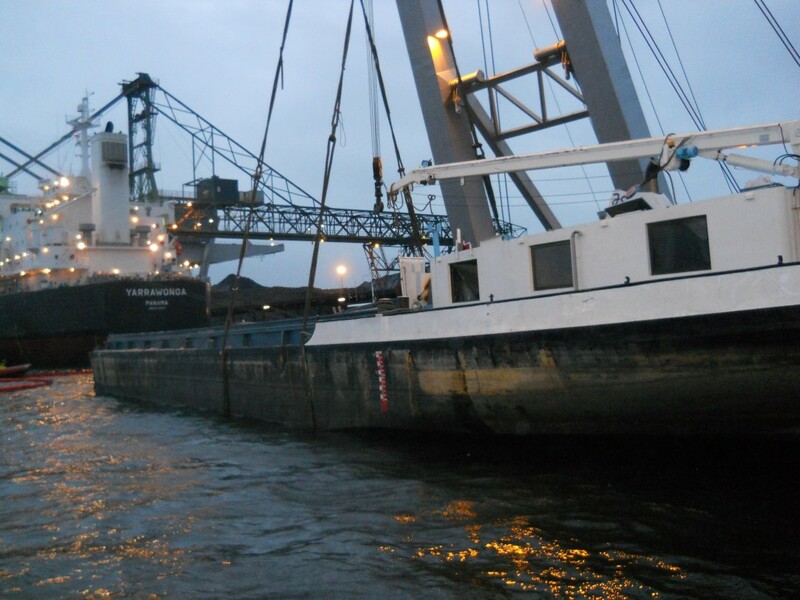 A grab was used to empty the barge, after which it was sawed in half. The two halves were raised separately. 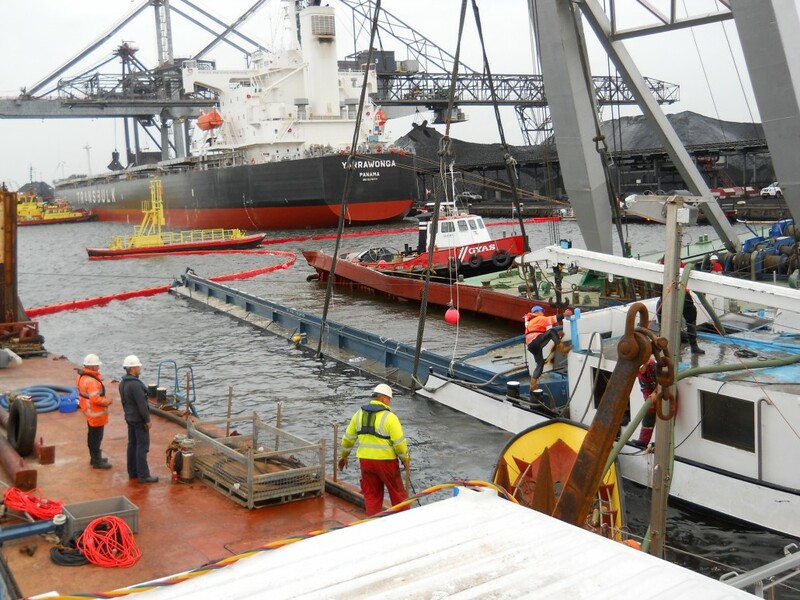 The activities were performed from our vessel ‘RAM’.